Sen. Susan Collins of Maine is the third Republican to condemn the Graham-Cassidy bill, killing the GOP's Obamacare repeal proposal. Vice President Mike Pence says he's disappointed that Republican Sen. Susan Collins has announced her intention to vote against a health care overhaul backed by members of her own party. Pence, a Republican like the Maine senator, made the comments during an appearance on WGAN-AM radio in Portland on Tuesday morning. He says the proposed overhaul is the "best opportunity that we've had to give the people of Maine, the people of America a fresh start on the failing policies of Obamacare." 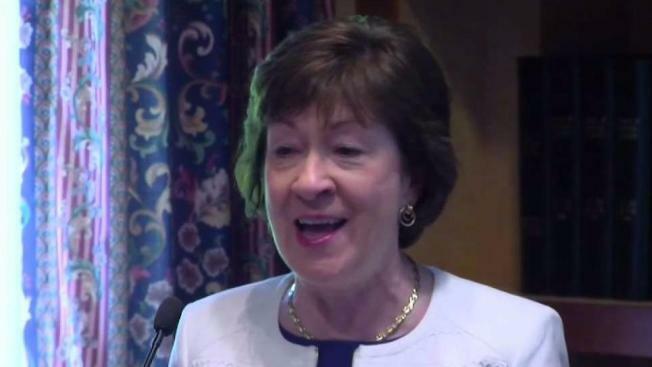 Collins announced her decision after the nonpartisan Congressional Budget Office said Monday that "millions" of Americans would lose coverage under the bill. Pence says he doesn't think the drive to repeal President Barack Obama's health care law is dead, but other Republican leaders say current prospects are minimal.